Perhaps our favorite role as your partner in dental health is helping you and your family with preventive care. At Hobbs Dentistry, we are committed to educating our patients in steps they can take to keep their smile healthy. Your mouth works hard for you every day, fighting off harmful bacteria and supporting your ability to speak, chew and digest food properly. Like a car, it also requires regular maintenance. At home, a daily routine of brushing and flossing helps to avoid build-up of food particles and dental plaque. We also recommend that you visit our office regularly for examinations and routine dental cleanings. Research continues to confirm the connections between dental health and overall wellness. 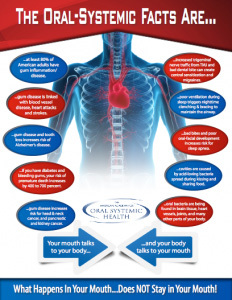 Oral health influences the body's systems, including cardiac, respiratory and endocrine, and, vice versa - systemic illnesses such as heart disease, diabetes and rheumatoid arthritis are a source of inflammation in the body, which has a negative impact on periodontal (gum) health and mouth healing. Augusta family dentist Dr. Rebecca Hobbs relies on findings from your complete dental examination to provide you with recommendations for preventive care and dental treatment. During this exam, Dr. Hobbs will take a close look at the teeth, gums and jaw joints to look for signs of disease or breakdown. Your dental exam also includes an oral cancer screening. Dr. Hobbs will carefully examine the lips, tongue and oral soft tissues to look for any bumps or discolorations that may be an early warning sign of oral cancer. Early detection and diagnosis can be life-saving! Learn more about oral cancer. Dr. Hobbs recommends dental x-rays as needed for a thorough diagnosis. Digital dental x-rays of the teeth and jaw bone give Dr. Hobbs the ability to study the areas between the teeth and underneath the gums that are not accessible in a visual exam. Dr. Hobbs and our dental hygienists use dental x-rays and diagnostic imaging tools to detect problems such as bone loss, tooth eruption and orthodontic concerns, abscesses or decay. During your examination, we will also take photographs of your teeth to assist us with our evaluation as well as share information with you. At your dental cleaning and check-up visits, Dr. Hobbs and our dental hygienists will review current dental x-rays to look for any evidence of bone loss or hard deposits (calculus) below the gum line. They combine this information with measurements of the gum ‘pockets’ around the teeth to determine if there is any indication of periodontal disease. Learn more about periodontal disease. Teeth cleanings are the most common (and possibly the most popular) service provided by a dentist and dental hygienist. That clean, fresh feeling in your smile also does a lot for your oral health! The teeth, tongue and saliva have the important job of breaking down food and nutrients to kick off the body's digestive processes. This vital task does take a toll, however on dental health. Over time, harmful bacteria go to work on tiny food particles and leave a buildup of dental plaque and hard deposits on tooth surfaces and between the teeth and gums. While brushing and flossing consistently helps to keep bacteria levels in check, it is important to have a professional teeth cleaning 2-4 times per year to take care of the areas you can't reach with a toothbrush and floss. These areas (often behind back teeth, at the gum line and in between teeth) are prone to accumulation of bacterial toxins and are commonly affected by decay and periodontal disease. At your regular dental cleaning visits, your Hobbs Dentistry hygienist will gently and thoroughly remove sticky plaque and hard deposits from the teeth surfaces with special dental instruments. The hygienist will also polish your teeth to remove stains and make your mouth feel squeaky clean. Preventive dental care is especially important for your child. During regular cleaning and dental examination visits, Dr. Hobbs will check your child's teeth and advise you of any concerns, such as tooth decay or orthodontic development issues. Baby teeth serve a vital purpose as the permanent teeth develop; we will also talk with you about how to care for your child's teeth to help ensure they are not lost prematurely due to tooth decay. We generally see children at age 3 and above in our office. For younger children or children with non-routine needs, Dr. Hobbs may recommend that your child see a children's dental specialist, or pediatric dentist. Dental fluoride is a mineral that helps to make tooth enamel stronger and more resistant to decay. Our dental hygienists may apply a clear coat of fluoride teeth ‘varnish’ to your child's teeth at regular cleaning visits. Dental sealants are applied to the chewing surfaces of permanent teeth to seal tiny grooves, pits and shallow indentations in the enamel. Sealing the tooth helps to prevent bacteria from penetrating into areas where the tooth brush is unable to reach. The smooth, plastic coating of the dental sealant also makes it easier to keep the tooth surface clean with good brushing habits. Sealants do not require drilling or getting numb, which makes this a great treatment to familiarize your child with visiting the dentist. They are also a low-cost investment in your child's dental health; sealants help avoid major procedures such as cavity fillings and crowns. Dr. Hobbs and our dental hygienists will check your child's sealants during their regular dental check-ups and recommend replacement as needed. Because of the frequency that most patients visit the dentist, dental professionals often encounter medical symptoms in the course of a routine dental examination. At Hobbs Dentistry, we take this responsibility seriously. As part of your complete dental exam, we perform a screening for snoring, sleep apnea and airway issues. Learn more about snoring and sleep apnea. Are you looking for an Augusta dentist near you with a focus on prevention? Dr. Rebecca Hobbs and Team are committed to making sure you and your family have the best possible experience in our care. We enjoy seeing children and adults, and have early appointment times available to help you with your busy schedule. Contact Hobbs Dentistry to schedule a New Patient Exam & Consultation and learn more about preventive dentistry options for you and your family.